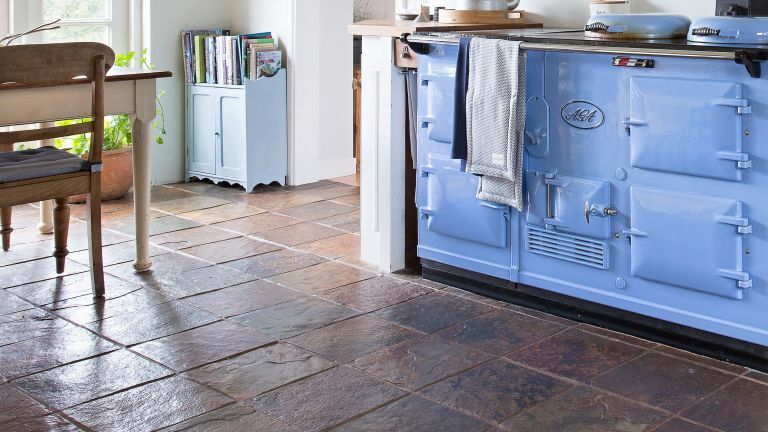 The floors in period homes offer a precious link with the past – their wonderful undulations and patina of age telling of the passage of generations of feet and the knocks and spills of everyday life. At the same time, floors can be cold and uncomfortable, so it’s worth thinking about how insulation can make them more thermally efficient, hold heat for longer and protect your home from damp. The challenge is to achieve this without destroying the character of the original flooring, or causing dampness within the structure, which may result in decay and damage over time. Floors are constructed in two ways, either suspended or solid. Suspended timber floors consist of floorboards nailed to joists, often carried on ‘sleeper’ walls of brick. It is important that the underside of a suspended floor is ventilated to avoid the build up of moisture. To achieve this, grilles are incorporated at the base of the walls to allow a cross draught. This often has the downside of resulting in draughts within the room. Solid floors of brick, tile or stone were frequently laid directly on to soil, sometimes with a bed of lime mortar or sand. Consequently, they can be cold to the touch and are difficult to thermally insulate. There are two priorities with suspended floors: improving the thermal insulation and draughtproofing. If there’s access from below, for example a crawl space or cellar, installing insulation is fairly straightforward. The easiest method is to push quilt-type insulation into the spaces between the joists. This is supported with plastic garden netting tacked into place. To provide additional insulation, tongue-and-groove wood-fibre board can be fixed to the undersides of the joists. Insulating from above is more complex and will mean lifting floorboards. This has to be done carefully and, even then, is likely to result in damage, so isn’t an option if the floor is valuable aesthetically or historically. Unless major renovation work is being undertaken, it’s best to lift only a small number of boards at any one time, otherwise you’re likely to destabilise the joists and sleeper walls below. By laying garden netting over the joists so it forms troughs, quilt insulation can be laid to fill the spaces between the joists. Another option is to use a breathable membrane and then to fill the troughs with cellulose (recycled newspaper) insulation. Alternatively, foil-faced foam or woodfibre insulation boards can be fitted between the joists, supported on timber battens. This can sometimes be achieved by lifting occasional floorboards and sliding the insulation into place. It is worth remembering that insulation on its own does not necessarily stop draughts so you will need to ensure all gaps are filled, otherwise you’ll still feel the chill and energy will be wasted because heat is being lost. By their very nature, traditional solid floors may be slightly damp as the tiles, bricks or flags that form their surface are in direct contact with the ground below. For this reason the floor must be able to ‘breathe’, otherwise moisture will be trapped, potentially resulting in damp problems within your home. It is no surprise that excessive dampness will make a floor colder. Where damp is evident, ensure external ground levels are lower than the floor, and drains and gullies are not blocked; also check that water pipes are not leaking. Without lifting solid floors, it’s difficult to introduce any permanent thermal insulation, but coir or other breathable floor coverings can help. Avoid covering the floor with impermeable insulation materials or rubber-backed carpets, as they’ll trap moisture. Where concrete floor slabs have replaced earlier floors, they may include a damp-proof membrane (DPM) but, unless laid comparatively recently, they might not be well insulated. Where floors do include a DPM and show no evidence of moisture, laying a floating wooden floor or thermal underlay with a carpet on top is often the easiest means of improving their thermal performance. Remember to seal all the gaps between the skirting board and the floor to prevent draughts. This needs to be done before a fitted carpet is laid, as it will not be possible afterwards. Ensure you insulate thoroughly but avoid squashing insulation material, as this will seriously compromise its effectiveness. Consider underfloor heating if replacing a floor as this can provide a comfortable and energy efficient means of heating, especially when used in conjunction with solid floors. Refrain from lifting an old floor without good reason, as it will never look the same when relaid and you may upset the equilibrium of the building. Always number floorboards, flagstones, bricks or tiles with chalk if they are being lifted temporarily. Don’t inhibit the ability of a solid floor to ‘breathe’ by topping with impermeable layers. Don’t obstruct external air vents under suspended timber floors, as air movement is essential to prevent damp and decay to the timber. If a concrete floor is being replaced because it is causing damp or other problems, limecrete offers an alternative. This material is similar to concrete but doesn’t contain cement, consisting instead of lime and aggregate, and so provides a floor slab that is vapour permeable. Limecrete floors are increasing widely available from suppliers such as Mike Wye & Associates and Ty-Mawr Lime; they can be insulated efficiently and can successfully incorporate underfloor heating.